All dogs should receive year-round heartworm preventives. All dogs should be screened for heartworm infection yearly with an antigen and a microfilariae test. Resistance to macrocyclic lactones has been shown to occur throughout the southeastern US. Despite resistance, macrocyclic lactones remain the mainstay of preventive treatment and are highly effective when used as prescribed. When prescribing a heartworm preventive, one should consider the ability of pet owners to comply with prescribed regimens and successfully administer medications. Macrocyclic lactones (MLs) are the only class of drugs approved for the prevention of canine heartworm disease, and veterinarians have been prescribing them for decades. 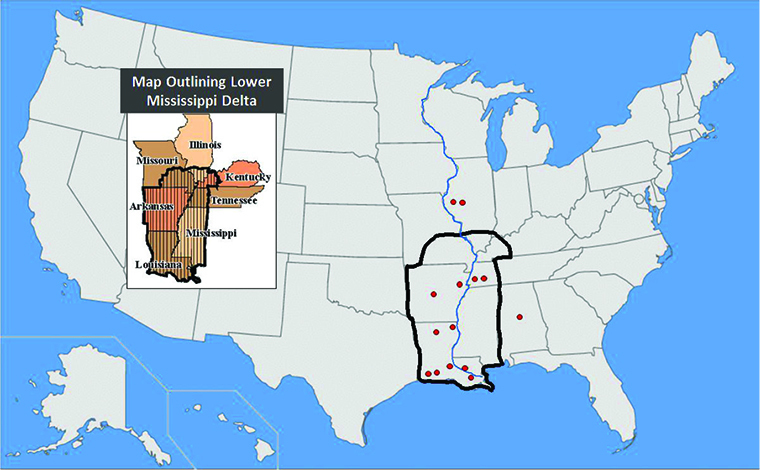 An increase in lack of efficacy of MLs was first reported in 2004,2,3 mainly in the Mississippi River Valley, with research confirming the existence of isolates of Dirofilaria immitis that are resistant to MLs presented in 2013.4,5 Since then, additional resistant strains have been identified, with some strains outside the lower Delta region.6-8 Recent survey work sponsored by AHS has further confirmed these findings through genetic analysis of microfilariae from field cases of dogs suspected of harboring ML-resistant D. immitis.9 Figure 1 is a composite showing 14 different individually identified isolates/strains resulting from the work of the above investigators. Figure 1 Location of confirmed or suspected ML-resistant heartworm isolates/strains. Each dot indicated an individual isolate. Map courtesy of Dr. Tom McTier. This article summarizes a recent roundtable discussion among practicing veterinarians and veterinary parasitologists on how clinicians can best address these issues and actions they can take to provide the best protection for their patients. Administration of an FDA-approved heartworm preventive medication, year-round, at the appropriate dose using a protocol designed for maximum compliance in the individual patient. Annual testing is another essential component of heartworm prevention. Both AHS and CAPC recommend that all dogs, including those on heartworm prevention, be tested annually using both antigen (Ag) and microfilariae (Mf) tests starting at 6 months of age. In some high-incidence areas, testing dogs twice each year may be indicated, particularly in dogs with high exposure to mosquitoes. Antigen tests detect antigen from the adult female heartworm. Several good options are available for in-house testing, or samples can be sent out to a lab. False-negative results can occur when infections are light, female worms are still immature, only male worms are present, test instructions have not been followed correctly, or Ag is blocked due to immune complexes. The modified Knott procedure, a concentration technique, is the preferred screening test with the most accurate results. Examination of a wet mount of fresh blood or blood treated with an anticoagulant is a quick and easy option, although less sensitive than the Knott test. Examining the buffy coat(liquid-cell interface) in a micro-hematocrit tube, looking for movement, is another method. Concentration using a stained or unstained Millipore filter(now available from Amazon) is an additional option. D. immitis Mf must be differentiated from those of Acanthocheilonema (formerly Dipetalonema) reconditum and, rarely in the US, from other Dirofilaria spp found in fresh blood samples. Figure 2 The heartworm life cycle. Reprinted with permission from the American Heartworm Society. 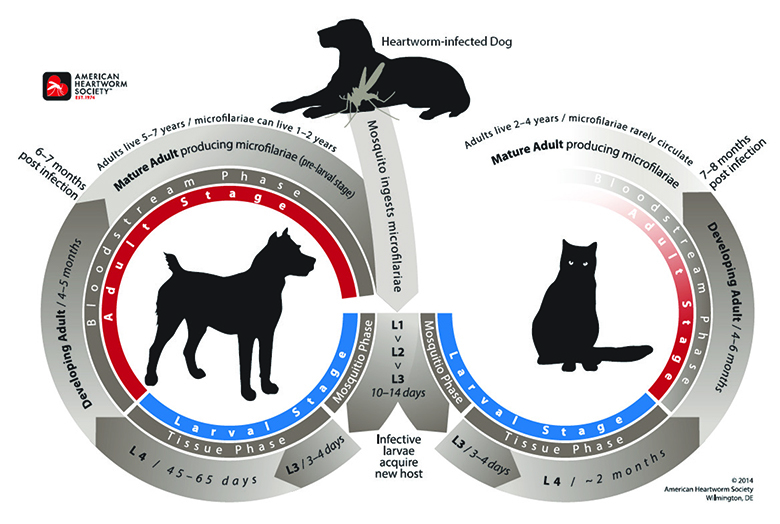 Microfilariae can persist in infected dogs for more than a year after adults have been cleared,12 even in the presence of very high levels of some MLs. In addition, a heartworm-positive dog may harbor heartworms ranging from <1 month to as long as 7 years. The wide range in maturity of heartworms in an infected dog can make it difficult to eliminate all stages of the parasite. A clinician may think a dog has been successfully treated only to find continued infection with adult heartworms or with Mf when retesting 6 or 12 months later. This needs to be a consideration when choosing a treatment protocol. Eliminating Mf at the beginning of treatment, initiating a 30-day course of doxycycline (to eliminate Wolbachia, a gram-negative bacteria found within the heartworm), providing continuous ML prevention (monthly or sustained-release moxidectin injectable), followed by a three-dose melarsomine protocol gives the highest probability of achieving heartworm-free status in the affected dog.12 Delaying the start of adulticide treatment can allow additional pathology to develop in the patient. A complete review of the causes of ML resistance in heartworms is beyond the scope of this article, but contributing factors could include improper use of MLs (eg, using “slow kill” protocols, poor compliance leaving gaps in protection, not looking for Mf), as well as the parasite’s natural adaptation to the drugs over time. Macrocyclic lactones remain the only effective FDA-approved class of drug currently available to prevent heartworm disease. Preserving efficacy of MLs is of paramount importance in veterinary medicine. Definitive diagnosis of suspected drug-resistant heartworm cases is not possible in the clinic due to the lack of point-of-care clinical tests or validated laboratory tests for detecting resistance in heartworms. Currently, the only means available to prove resistance is to perform a controlled efficacy study in a laboratory,4,5 a time-consuming and expensive process that is not practical in clinical practice. The microfilariae suppression test (MFST), which measures Mf levels both before and after a microfilaricidal dose of ML, was first proposed by Geary and colleagues as a means for detecting resistance.20 An algorithm utilizing the MFST to help clinicians evaluate cases of suspected resistance to MLs was recently reported.21 Suspect blood samples can be sent to Dr. Cassan Pulaski at Louisiana State University for further laboratory analysis. Samples then undergo screening by the team at McGill University to confirm the presence of genes believed to be related to drug resistance. Transporting and relocating dogs is an increasingly common practice—for example, during emergencies, such as hurricanes, when homeless dogs from heartworm-endemic areas in the southern US are transported to other areas to be rehomed. 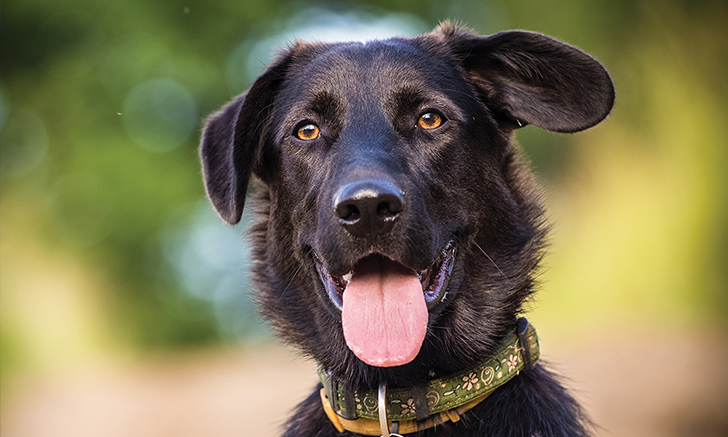 The AHS and Association of Shelter Veterinarians (ASV) have developed a protocol to minimize the risk of heartworm transmission in these cases,19 which stipulates both Ag and Mf testing before transport. Some shelters and rescue groups may only do Ag testing, especially in a crisis situation. Clinicians treating these dogs upon arrival should first test for Mf, as Ag-negative, Mf-positive dogs are more common than previously thought. It is important to obtain as much history as possible on relocated dogs regarding drugs used in past heartworm prevention and treatment. For example, some dogs may have received incomplete heartworm treatment, or been treated with levamisole to clear Mf that were not cleared with MLs. As discussed earlier, all dogs should be tested annually for heartworm using both an Ag test and a Mf test. Factors in selection of a heartworm preventive include compliance (see below), cost, convenience, and safety. Not all preventives have equal efficacy; some, like moxidectin in a sustained-release injectable formulation (ProHeart® 6, Zoetis) or in a high dose topical formulation, may be effective immediately while some other monthly products require three successive doses before they are fully effective, depending on the specific strain to which the dogs are exposed. Evaluate the prescribing information for each product, available online from the manufacturer, before making your selection. Compliance has long been a problem in heartworm prevention, with no reliable way to confirm whether preventives purchased are actually administered at home by the owner. The consensus among practicing veterinarians in this roundtable was that use of injectable moxidectin increases compliance because it puts control back in the veterinary clinic, rather than having to rely on the pet owner remembering to treat the dog on time, all the time. The product provides 6 months of protection in a single dose and can only by be administered by veterinarians and veterinary staff certified to do so. A clear and consistent message about heartworm prevention and screening is crucial. Resources are available to help educate pet owners about the importance of heartworm prevention, including clinic scripts for better communication about heartworm, on the AHS website. It is critical that the entire staff is on board. Below are some helpful tips from the panel to help improve client communications in your clinic. Many of the ML preventives feature broad-spectrum coverage against a variety of other internal and external parasites, such as hookworms, roundworms, whipworms, and mange mites. Detailed information is available for each product at the CAPC website in the Quick Product Reference Guide.13 Depending on the ML you choose, you’ll need to put together a plan for protection from other parasites that are concerns for an individual patient. For example, injectable moxidectin protects against hookworms (Ancylostoma caninum, Uncinaria stenocephala) in addition to the L3 and L4 stages of D. immitis. If roundworms (Toxocara canis, Toxascaris leonina) are an issue, you’ll need to add pyrantel pamoate. If whipworms (Trichuris vulpis) are a problem, fenbendazole can be added to the regimen. Year-round heartworm protection should be the standard for all dogs. Heartworm is now found in all 50 states, so all dogs are at risk. Use the right preventive product for each patient and their owner. Choose a product that is likely to increase compliance to enhance prevention. Despite resistance, MLs are still highly effective when used properly. Make a plan for protection from other parasites to supplement the heartworm preventive selected for each patient. Conduct both an Ag test and a Mf test. Test twice a year in endemic areas where risk is high. Follow AHS and CAPC recommended protocols to treat heartworm infection. Monitor for and treat persistent circulating Mf. Send suspect blood samples for further laboratory analysis. The consensus among practicing veterinarians in this roundtable was that use of injectable moxidectin increases compliance because it puts control back in the veterinary clinic, rather than having to rely on the pet owner remembering to treat the dog on time, all the time. Rehm C, Carithers D. Beyond the map: The state of heartworm incidence in the United States. Today’s Vet Pract. 2017;7(5). Hampshire VA. Evaluation of efficacy of heartworm preventive products at the FDA. Vet Parasitol. 2005;133(2-3):191–195. Atkins CE, Murray MJ, Olavessen LJ, et al. Heartworm ‘lack of effectiveness’ claims in the Mississippi Delta: Computerized analysis of owner compliance – 2004–2011. Vet Parasitol. 2014;206:106-113. Pulaski CN, Malone JB, Bourguinat C, et al. Establishment of macrocyclic lactone resistant Dirofilaria immitis isolates in experimentally infected laboratory dogs. Parasit Vectors. 2014;7:494. Bourguinat C, Lee AC, Lizundia R, et al. Macrocyclic lactone resistance in Dirofilaria immitis: failure of heartworm preventives and investigation of genetic markers for resistance. Vet Parasitol. 2015;210(3–4):167–178. Bourguinat C, Lefebvre F, Sandoval J, et al. Dirofilaria immitis JYD-34: whole genome analysis. Parasit Vectors. 2017;10(Suppl 2): 494. Bourguinat C, Keller K, Xia J, et al. Genetic profiles of ten Dirofilaria immitis isolates susceptible or resistant to macrocyclic lactone heartworm preventives. Parasit Vectors. 2017;10(Suppl 2):504. McTier TL, Six RH, Pullins A, et al. Efficacy of oral moxidectin against susceptible and resistant isolates of Dirofilaria immitis in dogs. Parasit Vectors. 2017;10(Suppl 2):482. Ballesteros C, Pulaski CN, Bourguinat C, et al. Clinical validation of molecular markers of macrocyclic lactone resistance in Dirofilaria immitis. Anthelmintics III. Indian Rocks Beach, FL, Jan 30- Feb 2, 2018 (published abstract and poster). AHS Resistance Statement. Available at www.heartwormsociety.org/images/pdf/Resistance_statement_FINAL.pdf. Accessed April 2018. McKay T, Bianco T, Rhodes L, Barnett S. Prevalence of Dirofilaria immitis in mosquitoes from northeast Arkansas, the United States. J Med Entomol. 2013;50(4):871-878. American Heartworm Society Current Canine Guidelines. Available at www.heartwormsociety.org. Accessed April 2018. Companion Animal Parasite Council (CAPC) website, www.capcvet.org. Accessed April 2018. Velasquez L, Blagburn BL, Duncan-Decoq R, et al. Increased prevalence of Dirofilaria immitis antigen in canine samples after heat treatment. Vet Parasitol. 2014;206:67-70. Di Gangi BA, Dworkin C, Stull JW, et al. Impact of heat treatment on Dirofilaria immitis antigen detection in shelter dogs. Parasit Vectors. 2017 10(Suppl 2):483. Venco L, Manzocchi S, Genchi M, Kramer LH. Heat treatment and false-positive heartworm antigen testing in ex vivo parasites and dogs naturally infected by Dirofilaria repens and Angiostrongylus vasorum. Parasit Vectors. 2017 10(Suppl 2):476. Carmichael J, McCall S, DiCosty U, et al. Evaluation of Dirofilaria immitis antigen detection comparing heated and unheated serum in dogs with experimental heartworm infections. Parasit Vectors. 2017;10(Suppl 2):486. Beall MJ, Arguello-Marin A, Drexel J, et al. Validation of immune complex dissociation methods for use with heartworm antigen tests. Parasit Vectors. 2017; 10(Suppl 2):481. American Heartworm Society and Association of Shelter Veterinarians. Minimizing heartworm transmission in relocated dogs. 2017. Available at www.heartwormsociety.org/images/A-News/SKO_Transport_Guidelines_for_Web_E.pdf. Accessed April 2018. Geary TD, Bourguinat C, Prichard RK. Evidence for macrocyclic lactone anthelmintic resistance in Dirofilaria immitis. Top Companion Anim Med. 2011;26(4):186-192. Moorhead AR, Evans CC, Kaplan RM. A diagnostic algorithm for evaluating cases of potential macrocyclic lactone–resistant heartworm. Parasit Vectors. 2017;10(Suppl 2):479. Bowman DD, McTier TL, Adams EL, et al. Evaluation of the efficacy of ProHeart® 6 (moxidectin) against a resistant isolate of Dirofilaria immitis (JYD-34) in dogs. Parasit Vectors. 2017;10(Suppl 2):502. McTier TL, McCall JW, Dzimianski MT, et al. Prevention of experimental heartworm infection in dogs with single oral doses of moxidectin. In: Soll MD, ed. Proceedings of the Heartworm Symposium ‘92. Batavia, IL: American Heartworm Society; 1992. pp. 165–168.